This week the Xyron team has the opportunity to share projects made with Imaginisce paper and stamp collections donated by the scouts who did a little fundraiser at a Staples near Me. 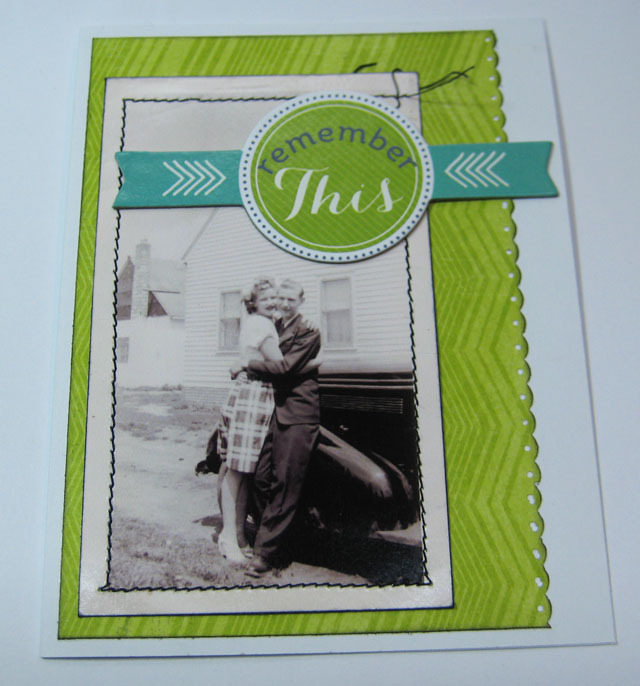 I received their Childhood Memories line and had fun creating several projects over the past couple weeks. I started off with a discounted and discarded frame due to its broken glass. Without the glass it opens the possibility for dimensional embellies that I knew would be fun to play with. 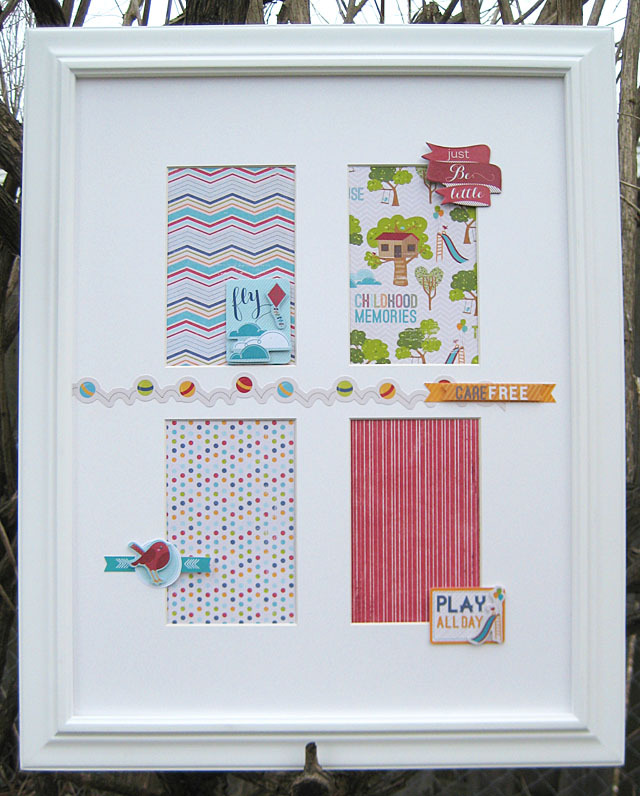 This frame is the perfect accessory for a child’s room and it was way too easy to create with Imaginisce and Xyron. Here’s how: I removed the broken glass and measured the openings using the faux photos that came in it. 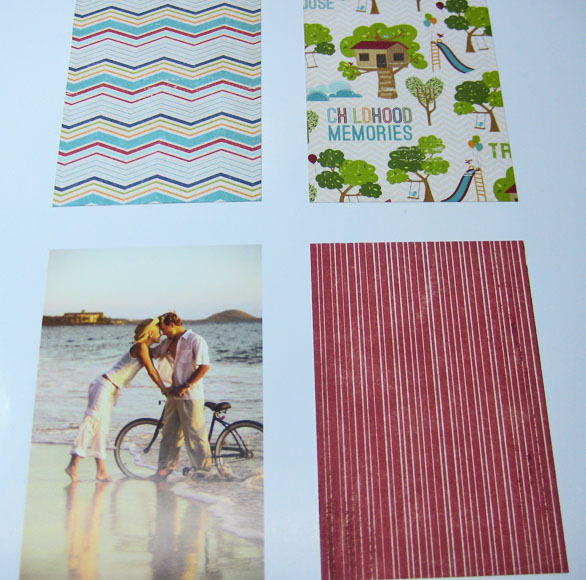 I kept the background paper of faux photos to use as a template. The Imaginisce papers (Carefree, Snapshots, Day in the Life, and Tree House) were cut slightly larger than the openings then processed through my Xryon 5″ Creative Station. Once processed, it’s a simple matter of peel-and-stick! The papers are adhered over top of the faux photos for a perfect fit. Once the papers are were in place a put the frame back on and decorated the front with a variety of stickers from the Childhood Memories collection. I used stickers from the Just Be Little Icons and Kid’s Stuff 5X7 Sticker Stacker. To create a very stable dimension on flat stickers I run scrap chipboard pieces through my Xyron 1.5″ Create-a-Sticker (both sides) to make my own dimensional pop-ups. This works great and the chipboard is very sturdy. Here’s the finished frame. I think it would make a great piece of wall decor in a kid’s room as is or pop photos onto the pattern paper backgrounds. But that’s not all! 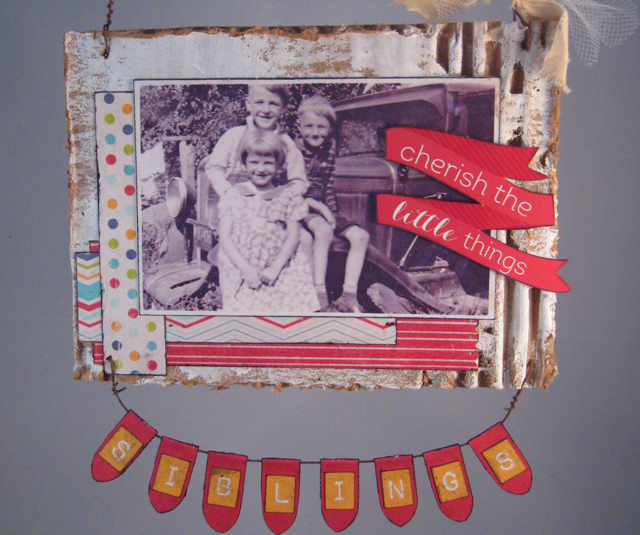 I had fun making a little wall hanging from corrugated cardboard and more of the Imaginisce Childhood Memories collection. This is a scrap of cardboard box painted with Claudine Hellmuth Gesso from Ranger, strips of Childhood Memories papers processed through the Xyron 2.5″ Create-a-Sticker and the photo through my Xyron 5″ Creative Station. I used the Childhood Memories ABC Sticker Alphas to spell out siblings and popped the ‘Cherish the little things’ sticker up for some added dimension. I bet my Aunt Alice will love this when she receives it in the mail! 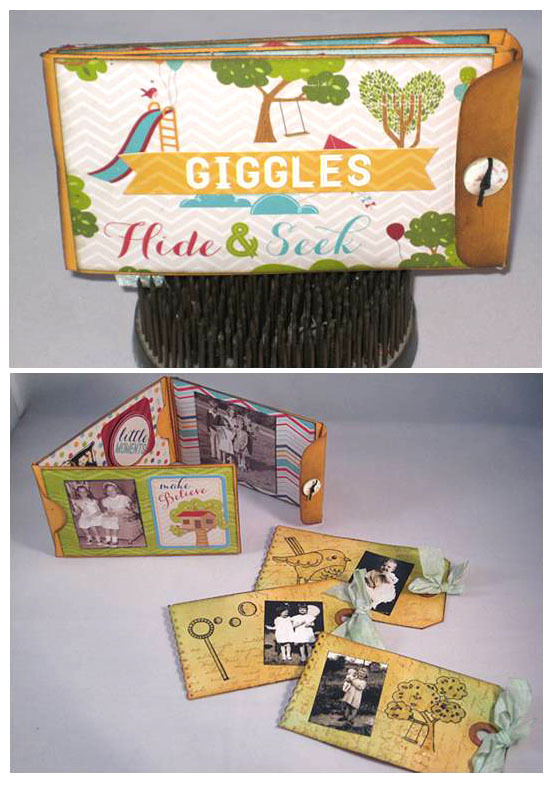 Next up is a simple coin envelope mini book using scraps of the Childhood Memories papers and stickers along with Snag ’em Stamps that go with this collection. They are just too cute! I inked my tags first then stamped with Ranger’s Archival Jet Black Ink and used Ranger’s Perfect Medium Pen to color in the images, sprinkled it with UTEE and heat set. This creates just a bit of dimension and shine on the tags that easily slip in and out of the coin envelope pages. And, there’s one more! I made this card for my Aunt Jane’s birthday recently. She turned either 88 or 89 (I got contradictory ages from different people). It’s a picture of her and my dad many years ago. I love making photo cards as much as most people love receiving them. They seem to bring back fond memories. 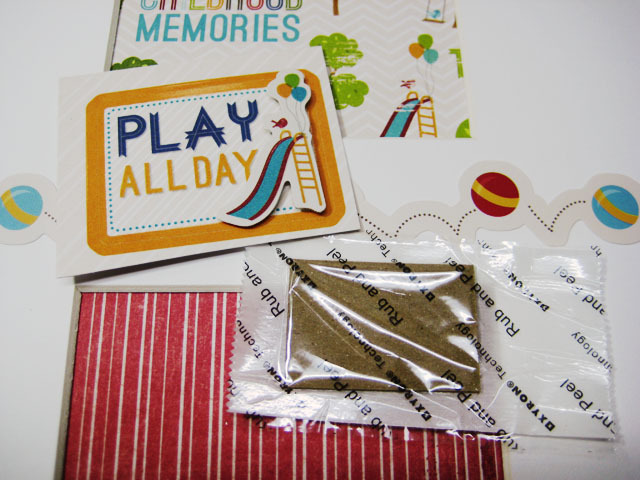 This card uses paper from the Childhood Memories line as well along with a coordinating sticker. 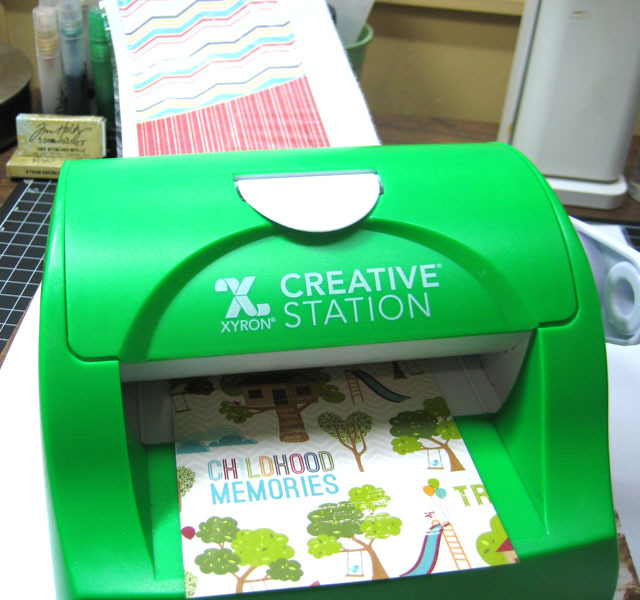 The paper was processed through the Xyron 5″ Creative Station. Hope you’re inspired to give one of these projects a try soon. These are great! We just got the line in at Capture A Memory … I never would have thought of using vintage photos with it. Great job! Thanks, Candy! I seen that in their email – go for it! Great Ideas as always! Love the birthday card and the hanging projects with the old photo! have a great Easter! Thanks, Jan. I’m really getting into photo cards lately. I made one for my Dad with him and me (I was about 3-years old). They just turn out so cute! Love it Linda…….I have some old Easter pictures of my sisters and I and I wanted to do something with them for my kids this Easter ——- You gave me food for thought! Thanks! Thank you, Vivian. You could so do this so easily with your photos and some old cardboard boxes. Have at it!